A painting by Rex Whistler (1905-44) which was believed to be the last he painted before he was killed during the Second World War sold at Chiswick Auctions (25/12% buyer’s premium) in London. Rex Whistler oil on canvas of Binderton House sold at Chiswick Auctions for £4200. 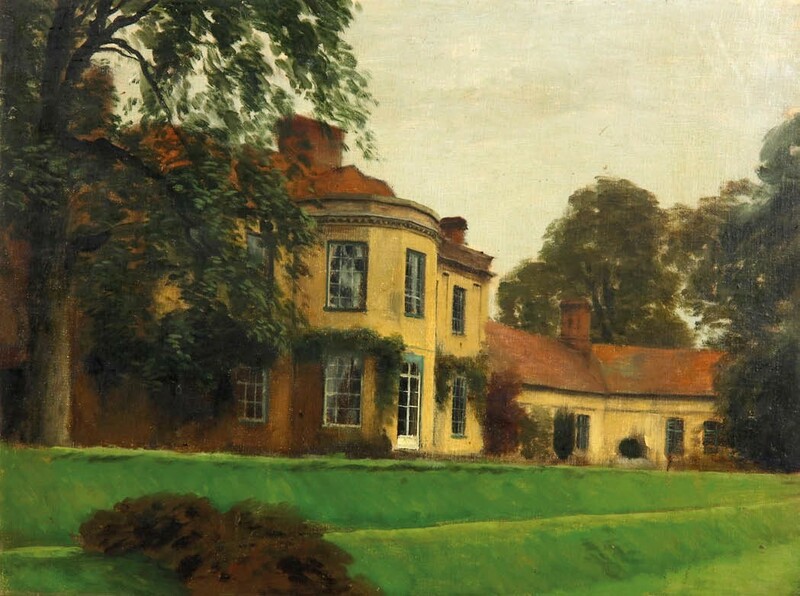 Dated 1944, the 12 x 16in (30 x 40cm) oil on canvas board, pictured above, was discovered in a cupboard in Earl’s Court, west London, and depicts Binderton House in West Sussex. This was the private residence of Sir Anthony Eden, who would later become Prime Minister. A friend of Eden, Whistler was a regular guest at Binderton. He is known to have painted the house in early July 1944, just before he departed for Normandy with the Tank Battalion of the Welsh Guards. The auction house contacted Dr Nikki Frater, a Whistler expert and adviser to the Salisbury Museum, who believed it to be “his last painting in England and indeed probably his last ever”. Guided at £2500-3000 in the December 12 auction, it sold for £4200 to a private buyer on the phone, who saw off competition from a commission bid.